School Yoga Institute/Sacred Lotus 200 and 300 hr certified Yoga Alliance Teacher training’s hold a strong intention for personal transformation. In this way, the courses are designed not only to provide students with tools to share the wisdom of yoga with others, but also to look at their own lives from a spiritual perspective. A pilgrimage is defined as a journey to a sacred space as an act of devotion. 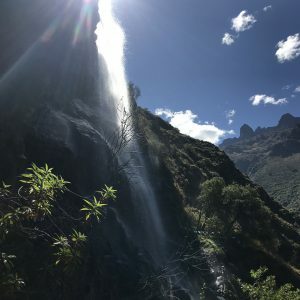 Join us for a 7-day Ayahuasca Retreat in the heart of the Peruvian Andes where we will dive deep into the magic of Pachamama. Our intention for holding these retreats is to create a space of healing, transformation, and personal reflection. A place where everyone feels safe and comfortable. A space that allows for you to experience your own consciousness in a new way. Want to deepen your yoga practice AND experience one of the Seven Wonders of the World? Imagine unrolling your yoga mat each morning before the backdrop of the magical Andes Mountains. Relish the quiet peace that fills your body. 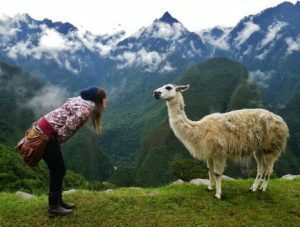 Feel your senses come alive as you tune into the natural beauty of Peru’s majestic Sacred Valley. Uncover true solace and strength deep within your heart through soul-nourishing meditation, breath, and movement, even if you’re full of fear or feel hopeless during difficult times. 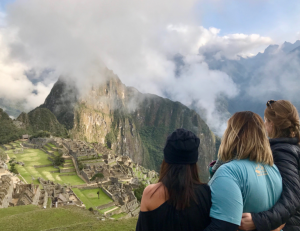 Join us–Rich Logan and Melissa Renzi, for a once-in-a-lifetime adventure in Peru’s Sacred Valley. 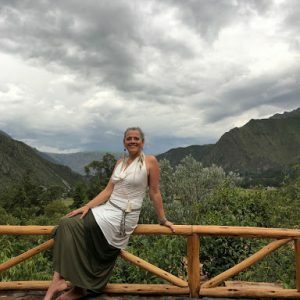 Having led several retreats to Peru and others all over Latin America, Melissa will be your expert organizer ensuring you experience the most breathtaking natural wonders and authentic culture of Peru’s Sacred Valley in a way that supports local businesses and social projects. Together we’ll support you through a transformative experience that includes a deep dive into the practice of yoga, including practical applications of pranayama and meditation, as well as stunning natural landscapes, rich culture, delicious vegetarian meals, and earth-friendly accommodations. 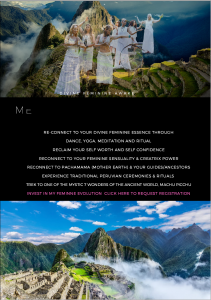 Limited availability – boohttps://www.wetravel.com/trips/machu-picchu-peru-yoga-intensive-with-rich-logan-melissa-renzi-urubamba-52046618k your spot now. Prices go up on October 15th with a final deadline of December 31st. Payment plans available! German Virguez (Venezuela) and Lupita Castro (Mexico) walk a sacred path devoted to healing and to the expansion of consciousness with master plants, and to opening this path to others. They are committed; and their way of life reflects this commitment and the enhanced awareness it has brought them. They are what they preach, they ‘walk the talk’; honorable guides in an honorable calling. The couple began their journey back in 2007, traveling to Colombia, Peru, Venezuela and Mexico to study with respected teachers, embodiments of different medicine lineages and traditions. 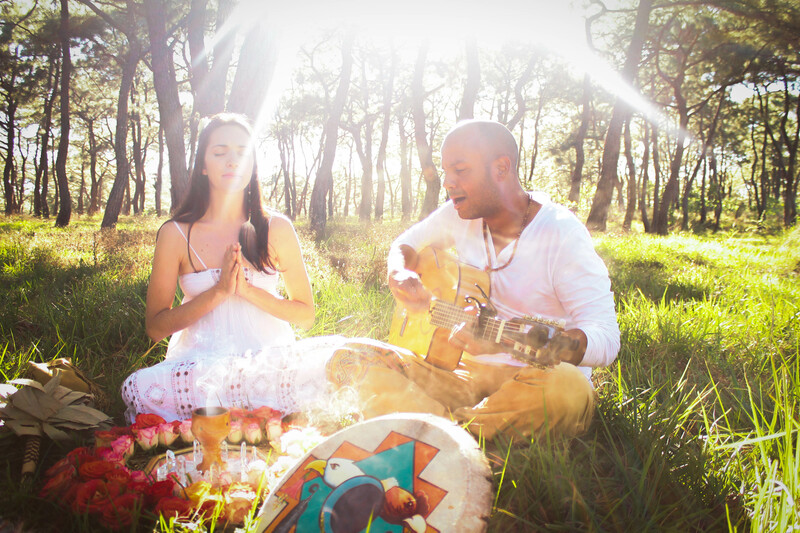 Today, German and Lupita are themselves masters with an approach to plant medicine that is unique and wholly their own, the result of experience, finely-tuned intuition and the wisdom garnered from the plant. They are also, not incidentally, renowned musicians and composers. In a ceremonial context, they blend the melodies and traditions of East and West, of Amazon and Andes into a seamless whole of high, clear energy where music is a powerful vehicle within the experience. 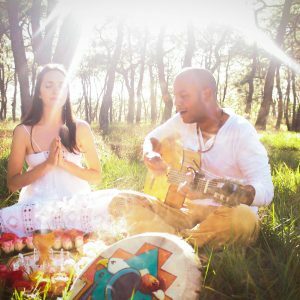 German and Lupita perform and record as Ayahuapu: their original music is prized by fellow musicians and ayahuasqueros and played at ceremonies throughout the world. Retreats afford a unique opportunity to learn at the hand of loving, Grandmother Ayahuasca. Our intention is to create and sustain the space for deep healing work aided by the powerful tool for personal transformation that is Ayahuasca. From a place of expanded consciousness, free of negative emotion, the plant allows us to see the personal perceptions that have created our inner and outer realities; perceptions that are flawed and limited and keep us from creating lives of health, abundance and joyful connection. Our behavior, and our relationship to ourselves, to others and to our environment is based on our perceptions. Identifying flawed perceptions gives us the opportunity to change them and so change our lives. 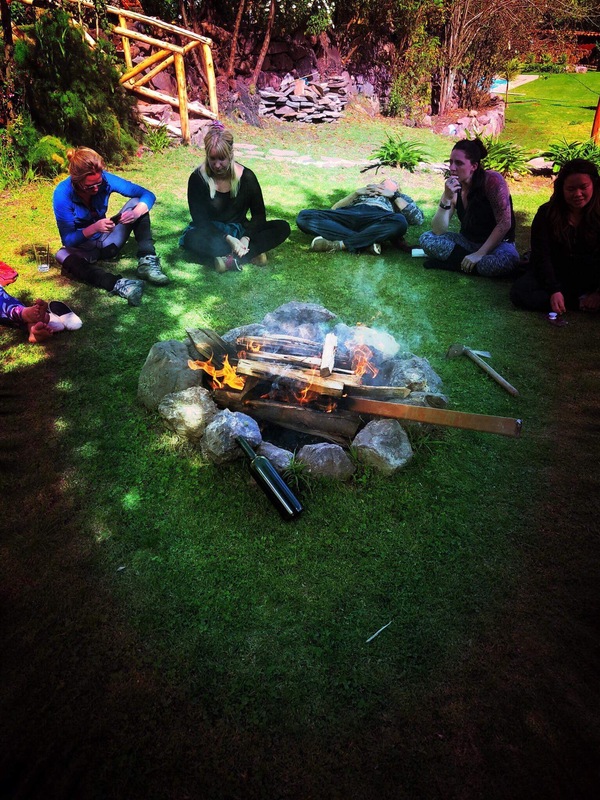 The retreat combines Ayahuasca ceremonies with group integration sessions, meditation, Tibetan Yoga, periods of silence, ritual offerings, nature walks, visits to sacred sites and a diet supportive of the work. This combination of action and contemplation, nourishment and medicine works the magic. Tao of Gratitude;Trauma Release for Women is designed as an intimate, intensive, space for WOMEN to identify, investigate, expose, resolve and integrate stories, beliefs, shame & body stored traumas within the nervous system. The nurturing of our basic primal needs is the foundation from which we develop a balanced, stable self esteem and healthy understanding of love. These needs when unattended to, from birth &/or through adolescence, will sit in your roots as the source of all confusion. Unconscious patterning of oppression and abuse may continue throughout ones life experiences. We will meet these basic primal needs at the foundational level with the art of self~responsibility, self~care and most importantly self~love. De~armoring and re~arranging your belief system as ways to create a heart~full life is a courageous task. With this new understanding, you will navigate a balanced, content, sustainable way of being. The vision is to co~create and hold a supportive, non~judgemental, compassionate environment where you feel held to expose your unconscious patterns buried within your current roles, behaviors & emotional reactions to life, allowing you to accept the full range of your humanity AND open to the realization and awakening of the ultimate truth of oneself; both supporting your freedom! ** BioDynamic Breathwork & Trauma Release System®-skillfully combining the elements of BBTRS results in removing layers of protective body armoring thus releasing long held mental, emotional & physical stress & tension from the cellular memories of the nervous system. As a result, BBTRS may reduce and clear one’s deeply imprinted primal, religious and societal conditioning. You will experience the full range of felt sensations while expanding your capacity for self~realization. ** Pelvis/Psoas therapeutic bodywork & de~armoring will stimulate and release the tension bound up in the root and second chakras, creating access to the original unmet needs &/or experienced sexual & other traumas, thus freeing up and offering back life flow through the entire energetic & nervous systems. This is assisted by upper body/heart opening conscious touch techniques and open, mouth connected breathing. ** Exposure in the form of supported, constructive and compassionate sharings. You will have the opportunity to be seen and met in the “stories” which keep you hidden inside the lie of the shadow. When this constricted energy begins to expand through exposure, it effortlessly integrates and turns into the lightness of presence which brings relaxation, energy, movement & creativity. ** Complimented by conscious, deliberate movement, free form dance, meditation techniques, self ~awareness exercises, somatic experiencing & felt sense, humor and the carefully chosen, resourceful, life giving & nurturing, beautiful natural environments. Join Marta Wanderlust + Katie Mayeux for a week-long journey into deep and transformative personal work. 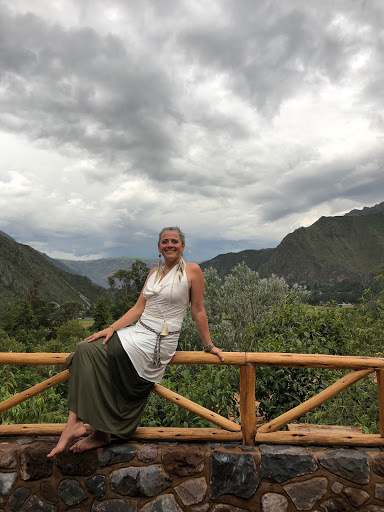 An offering of conscious Yoga, Breath Work immersions, and two all-day San Pedro ceremonies, held in the heart of the Sacred Valley of the Incas. 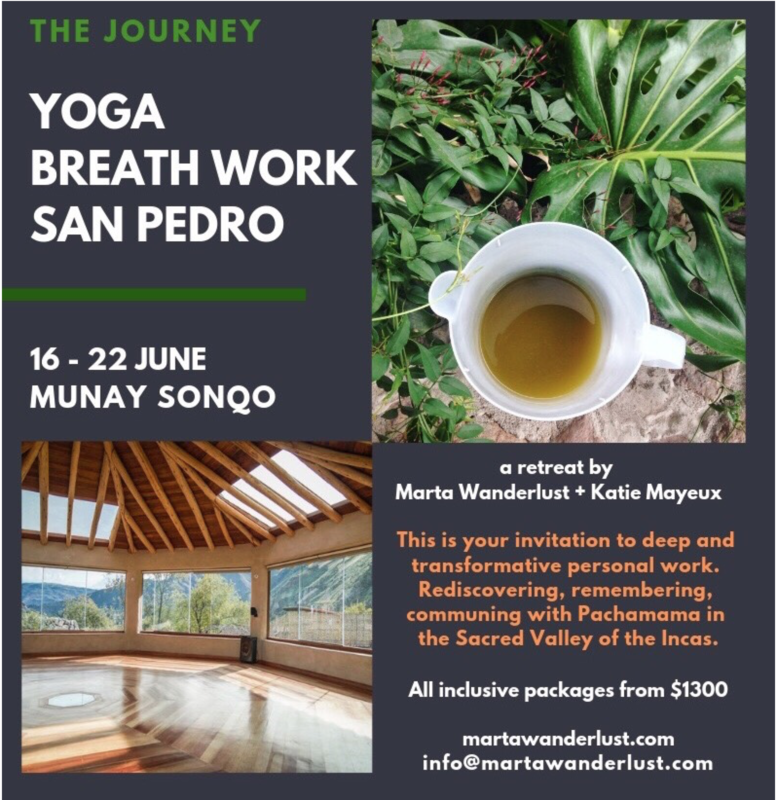 This deeply nourishing 10 day, all-inclusive retreat and 100 hour advanced YTT* draws upon a synergistic blend of the shamanic customs of the Americas and the ancient art and science of Yoga. These practices profoundly connect us with ourselves in raw and experiential ways, bringing to the surface our sub conscious, habitual thought patterns and behaviours that often can dominate our day to day lives. 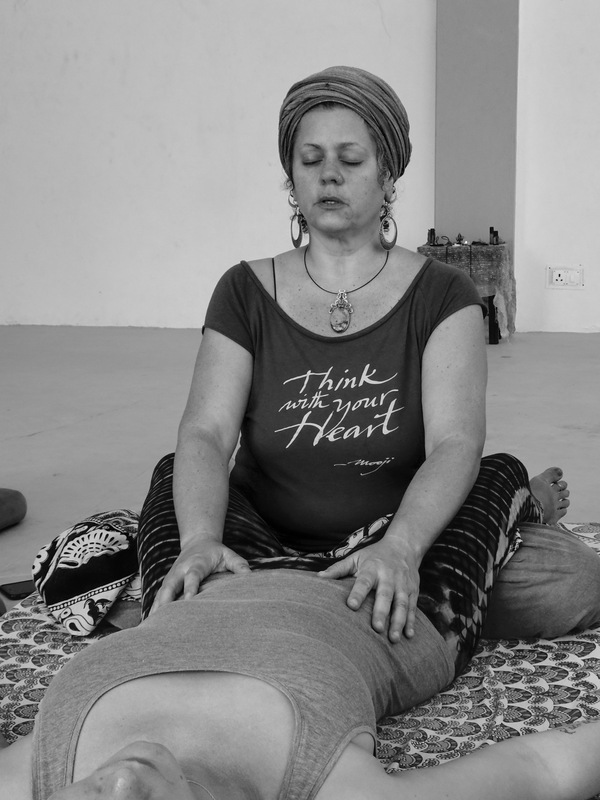 Let you body, mind and soul be nourished by daily Vinyasa/Hatha, Yin and Yoga Nidra practices and shamanic / yogic talks facilitated by Simone Mackay, founder and director of teacher training at the world renowned School of Sacred Arts. While working in ceremony with Ayahuasca and Huachuma (San Pedro) will further help inform how to live our yoga rather than simply “do” it, while our yoga practice serves to deepen and keep us centered during our journeying with the Plant Teachers for us to discover glimpses of our our place within it all. 2 x Ayahuasca ceremony guided by medicine songtress Leticia Tika Qantu Sideris; a 5th generation shaman and assisted by incredible musicians. 1 x Huachuma ceremony guided by Paul Temple from Hummingbird Retreats in Pisaq; a yogi elder with 2 degrees in botany. Open to practitioners of all levels and experiences, this event meets all Continuing Education (CE) requirements as required by Yoga Alliance for all registered yoga teachers, and also counts as one of three 100-hour modules specific for those moving towards an advanced 300-hour training (500-hour certificate) with the School of Sacred Arts in collaboration with Tina Nance Yoga Therapy. For more information click here. This women’s retreat is an invitation to step into the essence of your feminine nature.The gift of being woman is to feel deeply. When this gift is awakened, the eroticism of being alive is palpable. We hold the power to experience every one of our cells vibrating with the force of creativity. We have the capacity to be extraordinarily embodied and to move through life guided by our intuition. This is an offering to remember your power to feel and to express yourself as a woman more fully than ever before. 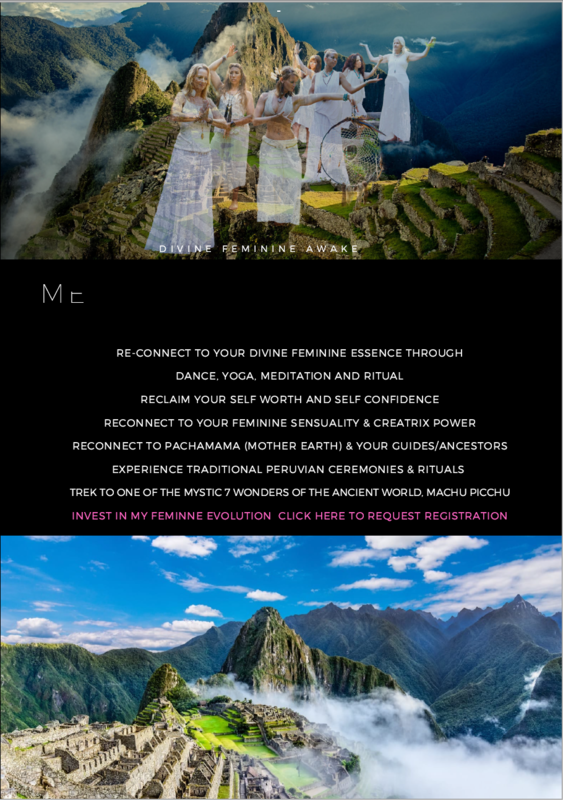 In these 7 days, you will be granted an immersion into your womanhood in the motherly embrace of the Peruvian Andes. We are living in a time of great transformation. It is the rise of the feminine. As the women who are being called, it is up to us to stand up, take lead and commence the journey so that we may be a part of the tribe of women who are healing and balancing the divine feminine on this planet. This retreat is for women of all ages, orientations, abilities and paths. Please visit www.rivermoonyoga.com for more info. August 1 – August 31 2019 As we explore the fusion of the ancient and mystical traditions of Yoga, Shamanism and Ayurveda, we step into the Wisdom of Self (Vidya). Yoga (union with the Divine), Shamanism (interaction with the spirit world) and Ayurveda (the Hindu science of health and medicine) are all practices designed to grant us access to the infinite wisdom we carry within ourselves. 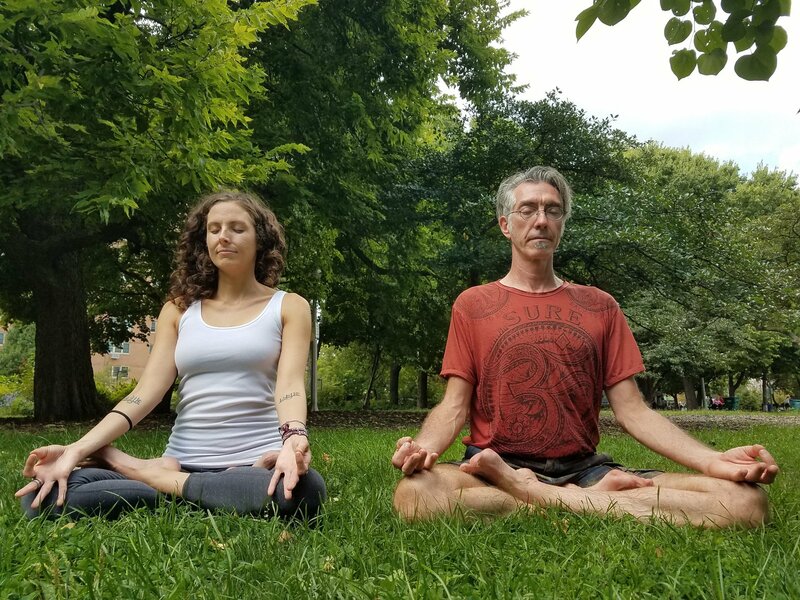 In addition to meeting the Yoga Alliance standards for teaching methodology, anatomy, yogic theory and special education, Kula Collective’s RYT-300 hour YTT Courses focus on the expansion of our own sacred consciousness. By releasing the stories and holdings that no longer serve us, we create more space to see our gifts, our passions and the essence of who we are as teachers and beings on this path of Light and Oneness. Here, in the heart of the Sacred Valley, we find a powerful space for opening and moving our own hearts. Surrounded by the wisdom of the Sacred Apus (ancient mountains) and cleansing rivers, we peel away the layers of our shadows, understanding our passions to reveal our true authentic purpose. Moving through various creative modalities of expression, we identify and connect with our root creative selves, our passions, and our dharma (our life path). Accompanied by two local Peruvian shamans, our journey here will guide us to the deepest parts of ourselves. 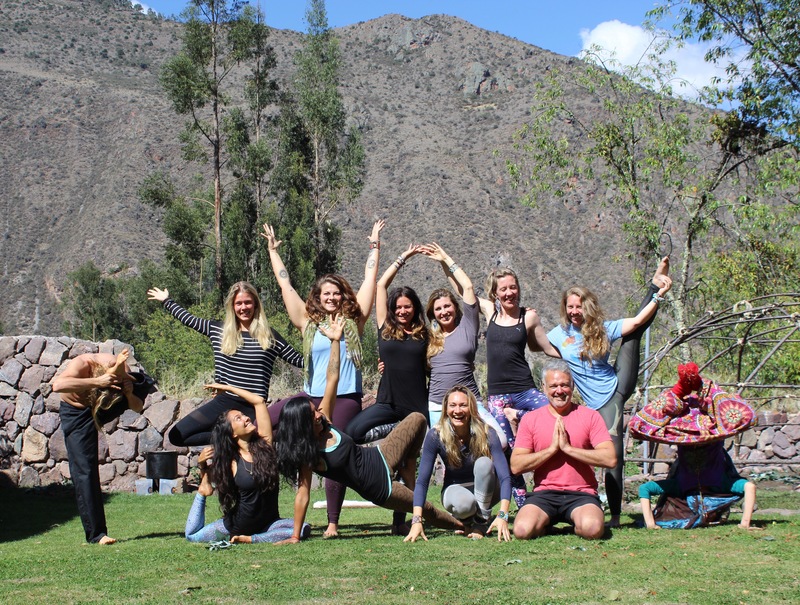 At our Peru RYT-200 Yoga Teacher Training, we wake with the mountain sun, taking time to absorb the magnificence of the surroundings, breathe deeply, move slowly… and connect to the ancient wisdom of this land. 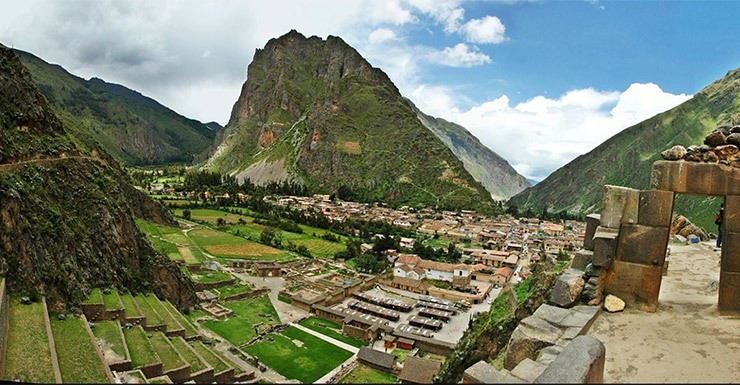 The Sacred Valley of Peru has long been sought out as one of the most powerful energetic centers in the world. The wisdom of this land runs in the people, the way of life and in the plants themselves, and this training calls on this ancient knowledge as a symbiotic guide through the path of Yoga. 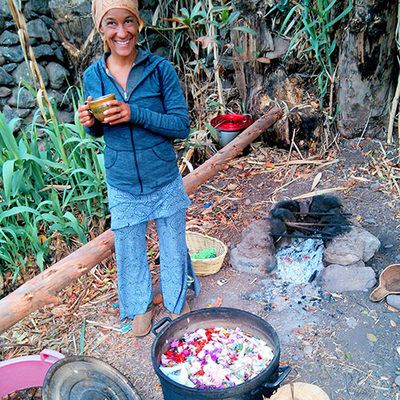 We will share the medicine of Peru and other lands through cleansing plant baths, temazcal, cacao ceremony, traditional coca leaf reading, sound and energetic healing, with optional medicine ceremonies (not part of the training) on days off. ​This training carries a unique focus of creative empowerment; in other words, new and unique ways of living, asking the question: How can we live in a way that is more true to ourselves? Facilitators Jiya and Cheralee share a passion for movement, using bodily expression to align the physical with the mental and spiritual, as well as drawing on skills of energy work and healing touch. This holistic approach is complimented by a focus on creativity as a sacred practice, making this training ideal for those going through transition or seeking a deeper sense of general alignment. We have watched our friends and family transform before our eyes, we have watched their skin clear and their eyes brighten as years of age pour off their bodies. While the process is at times difficult and at times spectacular, when you finish you will know that every moment, no matter how challenging, was in complete perfection. Our teachers will be the Master Plants of Sacred Cacao, Mama Coca, Tobacco, Washuma, and Ayahuasca. There is absolutely nothing to fear… all those that we work with have life-changing and healing experiences. Fear can always find an excuse for why you can’t… but you can. And we will be there to help, every step of the way. Trust, release, surrender… you are guided, you are protected, you are divine light, We are all One… We are We!. This 6-day course will give you the basis for building tools for creative facilitation design, spiritual leadership, active and participatory learning techniques, and pedagogical tips to maximize and measure group experiential learning. We will gather for a 6-day Conscious Facilitator training. The course is designed to deepen and expand group facilitation skills. You will be given the building tools for creative facilitation design, spiritual leadership, active and participatory learning techniques, and pedagogical tips to maximize and measure group experiential learning. If you are interested in facilitating group processing, this is an amazing opportunity to deepen your skill set. The Facilitation Intensive is directed toward honing our personal facilitation skills in a group spiritual setting. We will discuss concepts of spiritual space holding, group trust, community & the concept of oneness, holistic teaching design, ethics & dharma, artistic expression & creativity, and compassionate communication. A special emphasis will be placed on the art of giving and receiving Feedback. We have outlined this training to be an experiential training which we all co-create as facilitators together. You will have several chances to facilitate during the course in both group and individual settings. As a group we will take time and space to debrief and share reflections, wisdom, and new perspectives. In addition to the Art of Facilitation, the Facilitator Intensive offers an experiential component for those who are interested in pursuing the Kula Path. 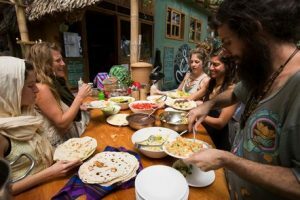 The intention of this experiential aspect of the training is to provide a solid foundation for upcoming Kula facilitators to prepare for the roles of apprenticing and co-facilitating 200-hour Yoga Teacher Training with The Kula Collective. This training does not guarantee a role as a Kula Facilitator, but is an important and required step on the path. Join Stephanie Koehler for this awe-inspiring journey into the Sacred Valley where ancient traditions are steeped deeply into people’s lives. This is a Journey for Body, Mind and Spirit. The Soul Immersion is for those who are truly interested in diving deep and learning about the teachings of the Andean Medicine wheel and how to apply the cycles of the Serpent, Jaguar, Hummingbird and Condor into our daily lives. We will touch on subjects such as Your Money Story, Sacred Sexuality, Quantum Healing and Manifestation techniques to create and live your Sacred Dream. This Immersion is by Application Only and space is very limited. Please visit here to get in touch with the facilitator or to reserve your space. In Patanjali’s 8 Limbs of Yoga, the fifth limb, pratyahara, is often defined as ‘a withdrawal of the senses’. With it’s central location it could also be considered the “bridge limb” – the point where the outer can become inner (and vice versa). Scholars of yoga philosophy often regard pratyahara as the ‘forgotten limb’ of yoga, its importance being gravely undervalued and ignored. Pratyahara is intimately related to ALL the limbs of yoga, as they all – from asana to samadhi—contain aspects of pratyahara; It is the basis for meditation and provides the gateway towards the higher practices of samyama yoga: dharana (concentration), dhyana (meditation), and samadhi (absorption/oneness). In this 8 day/7 night retreat, we will turn the spotlight on this forgotten limb, weaving together asana, meditation, breathwork, somatic movement, sacred ritual and ceremony, indigenous healing practices, and (drum roll)… CHOCOLATE as the vehicles with which we will use to recover, revitalize, and deepen our sensory awareness. Participants have the option to go even deeper with their journey with the Tour de Cacao, which will immediately follow our time at S’acha Munay. Tour de Cacao will give you hands-on time at cacao farms in Quillabamba, visit with cacao farmers & learn about the process involved in transforming cacao to chocolate, hike the last portion of the Inca Trail, and finish out the adventure at Machu Picchu! You wake up in your cozy casita surrounded by the mystical mountain morning in the Sacred Valley of Peru. Your body is a little weary from travel, but you are excited to join your sweet group of deep-diving souls in the light-filled, octagonal movement studio for a morning practice of movement, meditation, and contemplation. You have a deep knowing that you are in the right place. The butterflies bloom in your belly at the thought of the next six days of yoga, new movement practices, healthy habit creation, renewed inner fortitude, inspiration, breakthroughs, dance parties, outdoor adventures, and a whole lotta laughter. As the long languid days of the retreat flow sweetly by, you find your mind and heart are opened by the connection with your fellow movement mavens. Your body and soul are primed and healthy through daily authentic movement and relating practices. Each day is a new day filled with a healthy balance of fun and challenging things. Yoga, dance, meditation, connection games, and even hula hooping!! What heaven! Every sunset is a sacred experience of natural beauty. 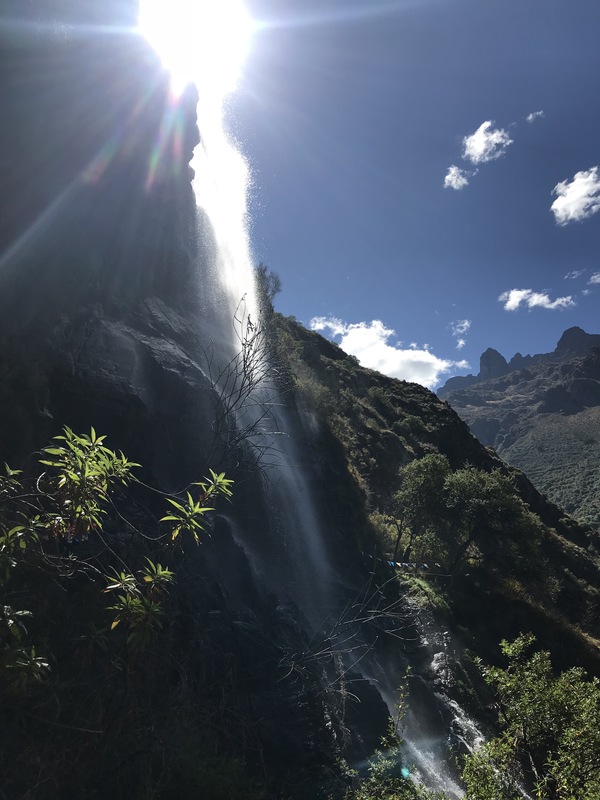 Your bucket list is shorter after experiencing the native culture of the Andes and the 12 sacred mountains -the Apus- or ‘luminous beings.’ You are nourished with organic food grown right on the property, dips in the hot tub, and hikes to the nearby waterfalls. The possibilities available to your body, mind, and spirit are expanded with the guidance of two decades-long practitioners of spiritual exploration and artistic embodiment, Anah aka Hoopalicious and Nayeli aka Michelle;). Your cheeks hurt from laughing all day. Your eyes are bright from the free flow of tears sparked by the outrageous beauty of Nature and a steady stream of breakthroughs you have been praying for. Upon returning home, you notice a new lightness in your step and easy integration of new tools for the path ahead. Gratitude abounds. Does this sound like what you are calling in? If so, please join us for an intimate retreat adventure in the one and only, Sacred Valley of Peru. Anah and Nayeli are your guides for a 6-day/7-night adventure lovingly designed to help you get into your body and out of your head in the most relaxing and nourishing way. Utilizing yoga, somatics, guided meditation, authentic relating games, dance, hula hooping, personal development tools and TONS of free time to enjoy the beauty of the location, come prepared to truly LET GO and maybe even find yourself on a whole new level of awareness. You will receive plenty of one-on-one guidance, forge lifelong friendships, and return home with tools and practices to stay centered, connected, and balanced ~ within and without. We will also be offering a karma yoga 1/2 day volunteer service project that will help the local communities. Last year we painted a small school and sang, laughed, and shared food with the young students and teachers. It was one of our favourite memories, in giving back we received so much!